At its December meeting, the Board of Managers approved a comprehensive set of strategic directions that builds on the College’s acknowledged strengths and emphasizes its core values. 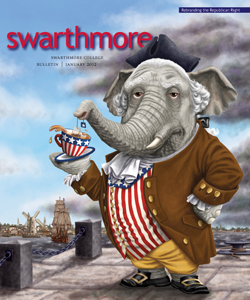 The strategic plan’s six major recommendations encourage curricular innovation while preserving intellectual rigor; envision Swarthmore as a model residential community for the 21st century; support faculty excellence in teaching, scholarship, and artistic production; affirm the College’s commitments to admit and support a diverse student body; urge the creation of an Institute for Liberal Arts to strengthen liberal arts education at the College and in the world beyond; and seek to engage alumni throughout their lives—especially through greater alumni-student involvement. 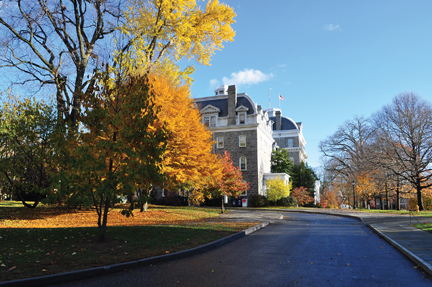 Adoption of the plan follows more than 18 months of research and self-study that drew faculty, staff, students, and alumni into hundreds of conversations about the College’s position in American higher education, its sources of strength, and the uncertain economic and higher education environment that Swarthmore faces today and in the future. All of the major recommendations are underpinned by more specific suggestions that will be explored in an implementation phase beginning in the first half of 2012. Some, such as a mandate to create a comprehensive diversity plan, will be undertaken forthwith; others will be studied to determine their feasibility and cost. As the plan was developed during 2010 and 2011, the current financial and educational environment weighed heavily on the minds of members of the planning council. The council comprised more than 25 members of the Board, faculty, staff, and the alumni and student bodies. It oversaw the work of four working groups, each of which included members of the planning council and other members drawn from the College community who brought special interest or expertise to the area being studied. In all, more than 80 persons served on one or more of these committees. It is estimated that well over 1,000 people participated in a face-to-face conversation about the College’s strategic direction. Hundreds more submitted comments and questions online. The plan is said to be “an organic document that can adjust both to additional community input and new challenges or opportunities as they arise.” In the months ahead, existing committees such as the Council on Educational Policy and the Sustainability Committee, as well as the Alumni Council will begin to act on relevant recommendations, articulating each project’s goals, providing “maps for implementation activities,” and establishing ways to measure progress. At the same time, in addition to the diversity and inclusivity plan, a campus facilities master plan, a financial plan, and a capital campaign plan will be developed additional other working groups.